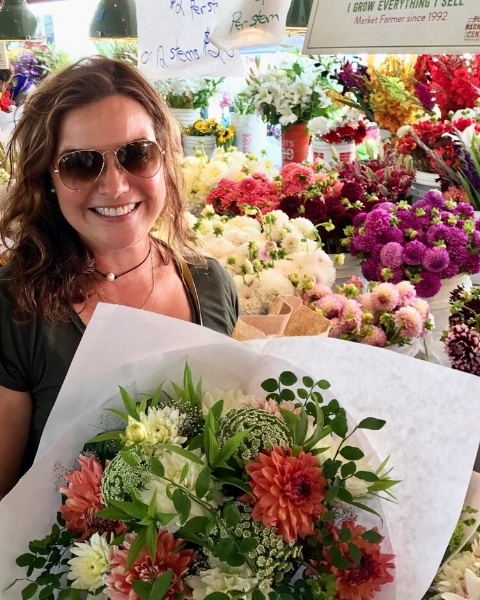 Today I sat down with Anne Marie Foy of the French Bouquet to discuss all things floral. She gladly offered some valuable insight and expert advice for brides to consider regarding floral design trends and the D.I.Y. approach verses hiring a professional wedding florist for their special event. Q. How do you respond to the current, popular trend of oversized bouquets with lots of greenery that we are seeing lately in weddings? Q. What direction would you personally like to go with new trends? Q. What do you feel is most important for a bride to expect when booking with a florist? Q. What to you say to brides who are considering DIY with their own bouquets?